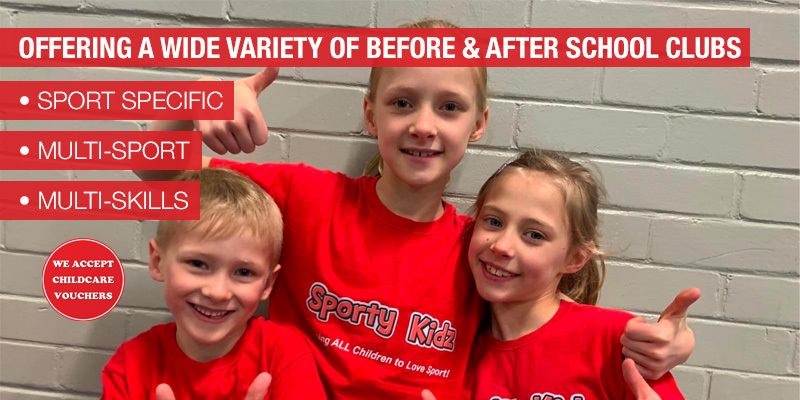 Sporty Kidz - Helping ALL Sporty Kids to Love Sport! 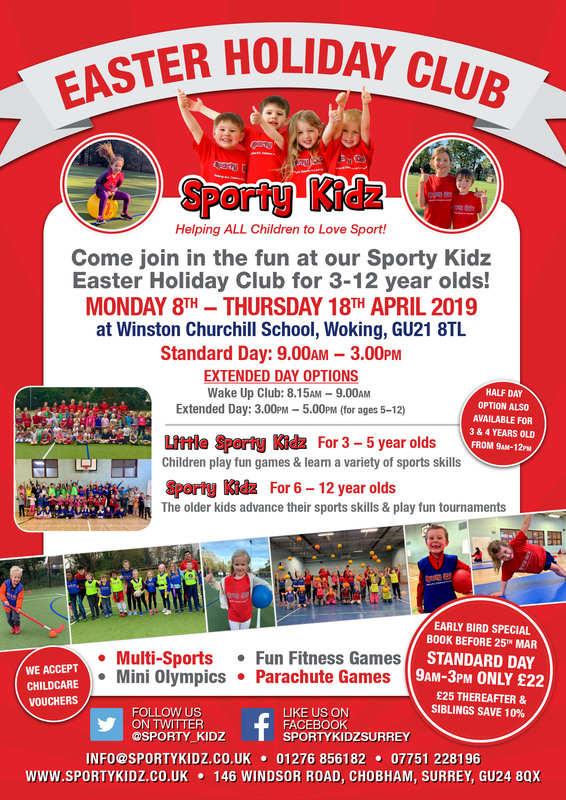 Sporty Kidz will be running their popular holiday club at The Winston Sports Centre, Winston Churchill School in Woking, this Easter, Monday 8th - Thursday 18th April 2019. 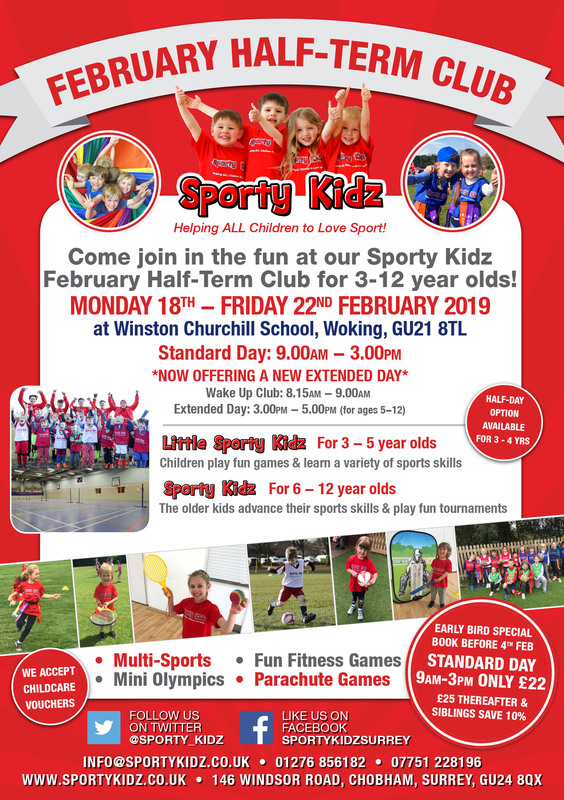 'Standard Day' 9.00am-3.00pm or our 'Extended Day' 8.15am-5.00pm or for 3 & 4 year olds we offer a 'Half Day' from 9.00am-12.00pm. 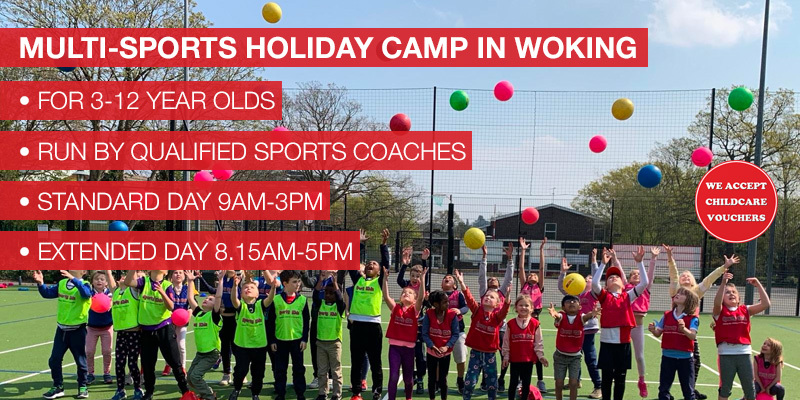 The children will be split into their age groups and take part in a variety of fun games and sports throughout the day and will need to bring a packed lunch and drinks bottle. 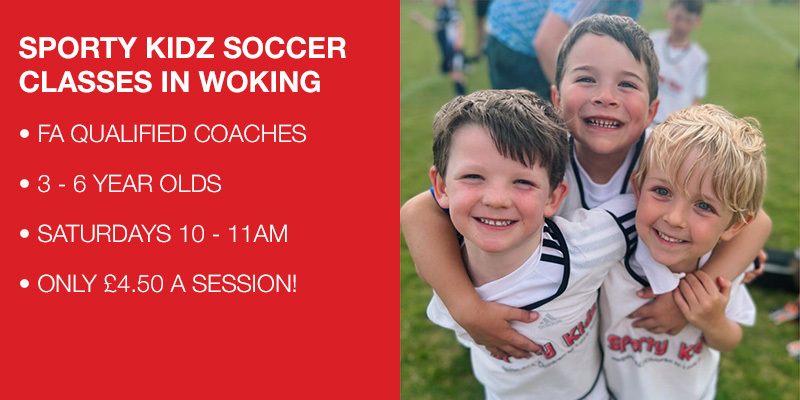 Repeat bookings - Please just email or text us to reserve your dates! 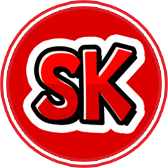 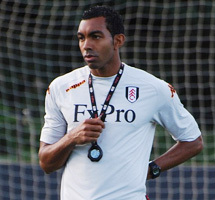 The Sporty Kidz team are excellent, always prompt and professional but above all fantastic and fun with the children. 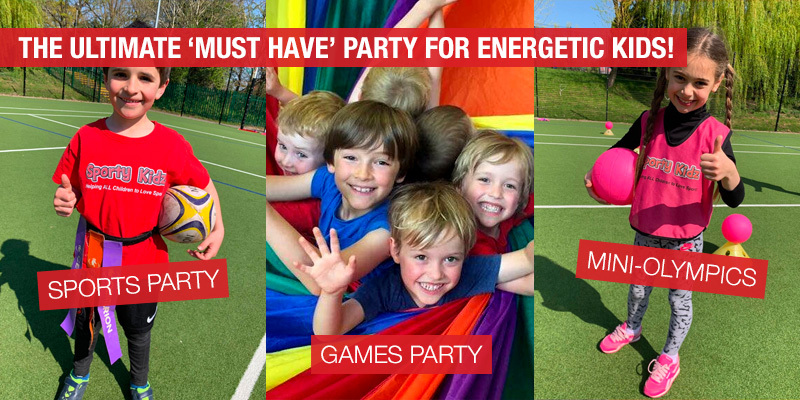 Sporty Kidz have developed excellent behaviour management strategies to ensure maximum inclusion and participation. 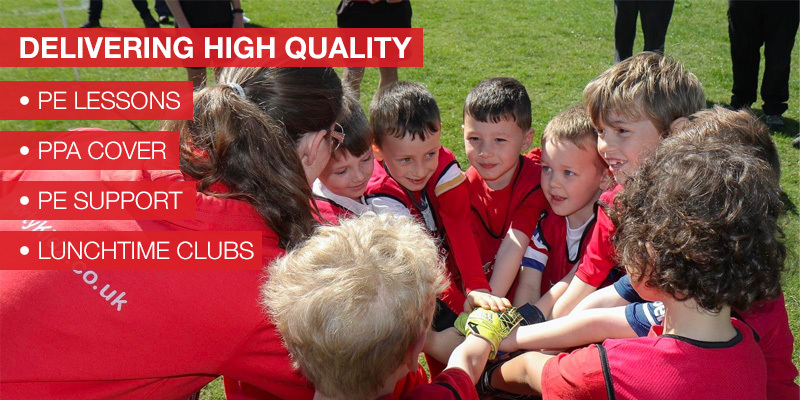 By providing an exciting and well prepared programme of activities, children are enthused about sport and physical activity and really look forward to their weekly PE lessons.